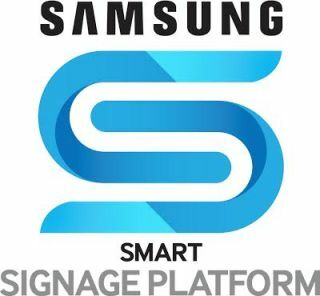 Built around a Quad Core processor, the newest generation Smart Signage Platform from Samsung also adds an SD slot for flexible memory expansion as well as built-in WiFi as a standard feature for many models. The Samsung Smart Signage Pavilion, located in Booth #909 at DSE this week, is highlighting a number of real-world applications developed for the platform by software partners Avionex (Hypersign), Capital Networks, Four Winds Interactive, Insteo, Scala, Signagelive, Wireless Ronin and X-Factor Communications. This list of partners is considerably longer than it was last year– as Samsung has both expanded the number or partners and added several partners in non-traditional digital signage CMS. In addition to the next-generation Smart Signage Platform system-on-a-chip, the new Samsung D Series commercial displays introduced at DSE this week also introduce a flexible new design approach featuring replaceable bezels in a variety of colors that enable users to customize signage to match any environment. To provide solutions suited for any project, the D Series models are tiered in a “good, better, best” three product lines: the DB Series, an entry-level lineup providing access to Smart Signage Platform capabilities; the DM Series, the broadest product line, rated for 24/7 operation; the DH Series, the premium lineup offering 700nit brightness. As well as eliminating cables, built-in WiFi on DM and DH Series models enables easy mobile integration including mirroring on content to the display. Available in a range of sizes from 32- to 75-inches, the D Series will be available through Samsung’s distribution and reseller partners “in the coming months” according to Samsung. Interestingly, at least some of the D Series panels will not feature the Samsung logo on the front edge of the bezel– a first for Samsung, as it attempts to let some integrators spec and install panels without the Samsung branding visible (although those non-logo panels do feature a small fabric Samsung logo on the top right side of the panel, albeit one that would not be visible in a tiled videowall scenario).